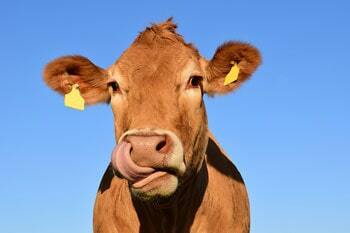 Fitness Equipment Source / Blog / Blog / “Beef” – Maybe It’s NOT What’s for Dinner? Why Do Scientists have Such a ‘Beef’ with Red Meat? A 2012 study, performed by the Harvard School of Public Health really brought this issue into the spotlight. The first of its kind in terms of scale, the study followed more than 121,000 participants over an average of 24 years. All of the individuals were free of cardiovascular disease and cancer at the beginning of the study. Participants filled out a questionnaire every four years about their diet and received regular health screenings. At the end of the study, there had been 23,926 deaths. 5,910 due to cardiovascular disease and 9,464 from cancer. It’s not surprising that over the course of 24 years there would be deaths from cancer and heart disease, but the risks associated with red meat consumption should make you sit up and take note! People who ate one serving of red meat each day showed an increased mortality risk of 13%. Keep in mind that is a serving the size of a deck of cards, not a 20 oz. steak. Processed meat is even more staggering. One daily serving, a single hot dog or two slices of bacon, upped that risk to 20%. Please don’t tell this to any hot dog eating champions out there! It’s important to know the difference between processed and unprocessed red meat since the health effects are obviously different. Processed meat is anything with other ingredients added to increase flavor or to act as preservatives, allowing it to be kept for longer. This includes cured meats — so that’s your ham, sausages, salami, bacon, pepperoni…you get the idea. There are several ways meat can be processed, but the tried and true way is with salt. This means processed meats have a much higher sodium content. You will also find processed meats contain more saturated fat, more nitrites, and a larger concentration of heme iron. These factors all contribute to elevated risks of chronic diseases. 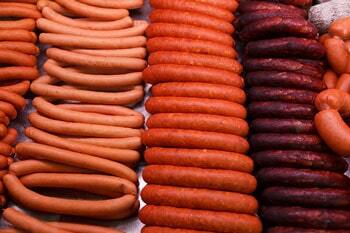 Cooking processed red meat also creates carcinogens that lead to cancer. A study performed at the University of Toulouse found that consuming red meat and cured meat may increase your risk of colorectal cancer by up to 30%. 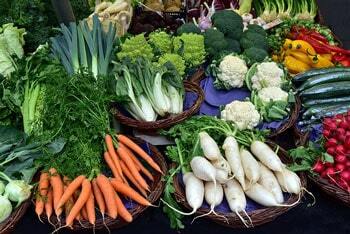 Now that you’re thinking about doing away with the red meat, what do you eat instead? There are lots of healthy alternatives to red meat that don’t require you to become a strict vegetarian, or you can go totally veggie. Fish – Fish is an awesome alternative for red meat and provides a lot of health benefits. 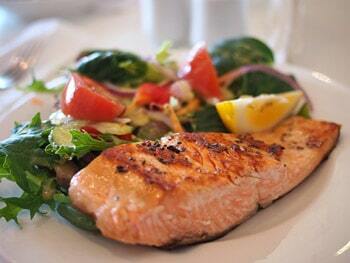 Fish is high in omega-3 fatty acids which are great for your heart and your brain. These fatty acids also decrease inflammation which is a leading source of chronic pain. Fish can also be beneficial at a genetic level. Omega-3 fatty acids protect your telomeres. Your telomeres are the end caps of your chromosomes which help determine how quickly you are aging. Healthy telomeres means better aging and who doesn’t want that. White Meat – Red meat isn’t the only option if you know that the vegetarian lifestyle isn’t for you. Poultry, such as chicken and turkey, are great options that will allow you to keep meat as a staple of your diet. Poultry is high in protein and lighter than red meat so you won’t feel that food coma coming on after your meal. Chicken and turkey are also rich in amino acids, which help your cells regenerate and grow. Amino acids are also good for your immune system, so you’ll continue feeling happy and healthy. Vegetables – It is a common misconception that you need meat in your diet to get protein, but this really isn’t the case. You can have a fulfilling, protein-rich diet based around plants and it doesn’t have to be bland and boring. Marinate your portobello mushroom tops and serve them as a burger patty. Eggplant parmesan has been around for a long time and won’t disappoint. You can even substitute cauliflower for ground beef for your next taco night. Next time you are grocery shopping or planning your meals for the week, consider breaking the meat and potatoes cycle. Cut out the red meat and live a longer, healthier life. Your body with thank you for it. Read to Get a Jump Start on Your Fitness Goals? Check out our Best Buy Elliptical picks. We’ll help you find the right machine for your body and budget.